is it ? Was it made before or after Franco’s passing ? I could not find it on the web.. This entry was posted in Congo by Moos. Bookmark the permalink. A heart felt thanks for introducing me to all the wonderful bands from the Congo. This new site of yours is great, congratulations! Thanks, Moo! And congratulations on getting back the past of the site. I would have commented before, but I’m having WordPress issues. I have no reason to contradict Aboubacar Siddikh but he does not give any evidence supporting his contribution. However the history of the last years of TPOK Jazz is quiet compatible with this offering having been recorded in 1988. By 1988, Franco was spending an increasing amount of time in Europe and his health was already causing concern. 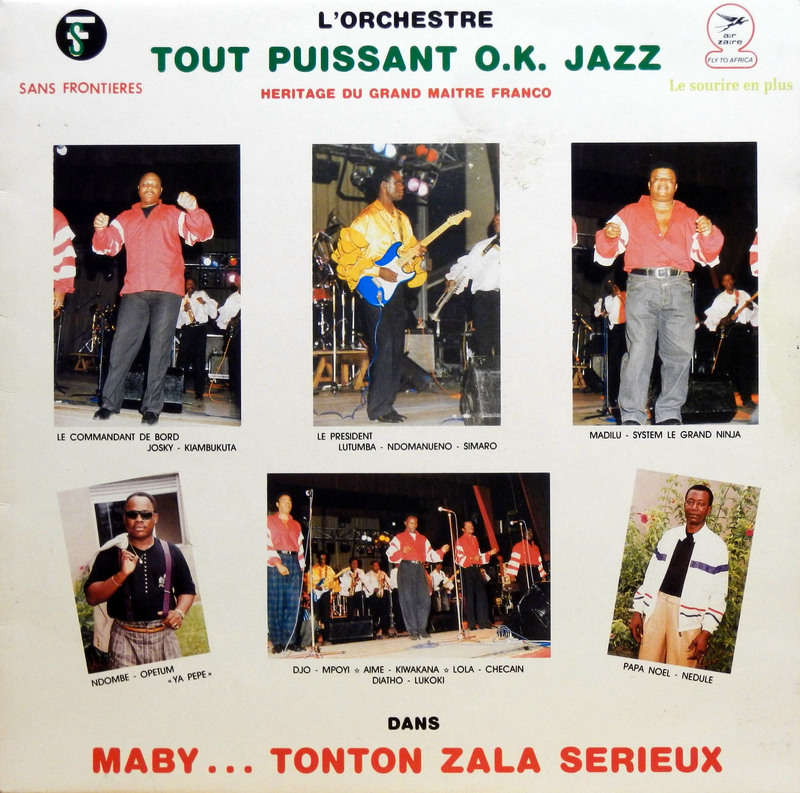 He operated TPOK Jazz with away and home teams, the latter based in Kinshasa. If my memory is right the Kinshasa division was led by Simaro when Franco was abroad. TPOK Jazz had a significant churn of musicians through its history often fuelled by members’ ambition and personality conflicts. Sometimes Franco allowed them to record separately though often he would be present at the sessions and may even have contributed anonymously. 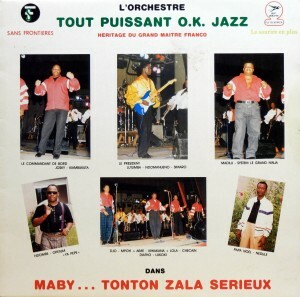 It was noted in the press in early 1989 there was lingering discontent amongst the Kinshasa based musicians and it is conceivable Franco allowed them to record an album to give them some extra money by way of dispute resolution, though this latter point is entirely my speculation. However, Moos, it would reconcile the discrepency which you noted above. Further more the shirt won by Simaro was only unvelled after the Grand Master’s demise. Simaro took over as band leader and began to wear that shirt. For instance at 1:30 into this clip: https://www.youtube.com/watch?v=XbMQ4PmXPK0 you can see one of these pics I took there. They recorded this album within weeks after that. It came out near the end of 1991, my copy was signed by Papa Noel on January 2nd, 1992. Joseph from Zambia has a point with regards to the shirts, and not just Simaro’s shirt. And “Jazzy” is way off because before Franco death, half the team had been in Kin and the other half in Brussels for a long time. And to top it all off: Any of you guys have any idea what the words: “HERITAGE DU GRAND MAITRE FRANCO” mean? ?